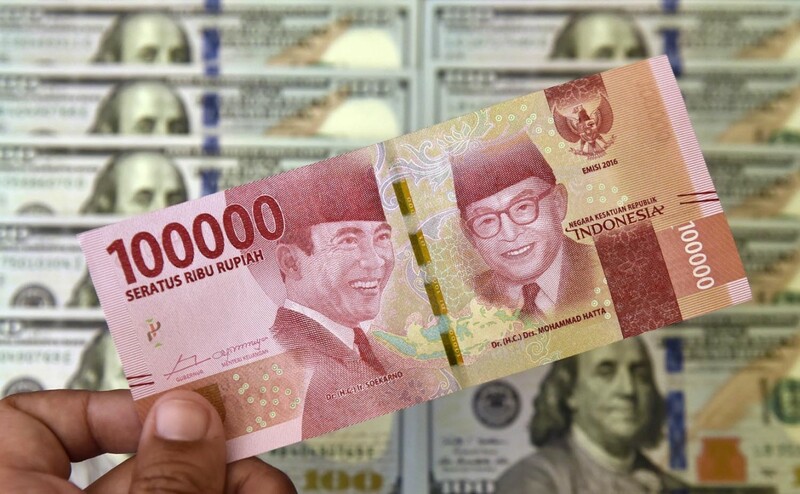 The current account deficit, the main cause of the vicious macroeconomic cycle and the main source of downward pressure on the rupiah to as low as 15,000 to the dollar last October, was among the main issues discussed at two separate conferences here last week. Panelists and ministers at the 2019 Mandiri Investment Forum and the 2019 DBS Insights Conference agreed that a deficit in the current account (the balance of international trade in goods and services and international transfers of capital), and which exceeded 3 percent of gross domestic product last year, is inevitable in emerging countries like Indonesia, which depend mainly on imports for capital goods and basic materials and components for the manufacturing sector. Hence, heavily suppressing imports to control the deficit will hurt investment and the manufacturing sector. Fortunately, the well-coordinated policies of the fiscal and monetary authorities have helped the economy weather the recent bout of global financial turmoil caused by the United States Federal Reserve’s monetary-tightening policy. And the combination of sound macroeconomic fundamentals and credible policy-making has succeeded in boosting the rupiah to as strong as 14,000 per dollar. Bank Indonesia reported US$1.4 billion in net portfolio capital inflows last month alone. The problem though is that as long as the current account continues to depend too heavily on portfolio capital, not only will the rupiah remain highly vulnerable to international financial volatility, macroeconomic stability could also be adversely affected because we still depend on imports for many staple foods such as rice, wheat flour and horticultural products, and because over 40 percent of the government bonds that finance the budget deficit are held by foreigners. The suggested solutions, therefore, call for promoting foreign direct investment (FDI), which requires significant improvement in the business climate, and developing more manufacturing plants to produce basic and intermediate materials to reduce imports and to increase exports of added-value industrial goods. The government has been taking reform measures to woo more direct investment into the manufacturing sector but these measures will take some time to have a significant impact on exports and the overall balance of payments. The challenge is that even though most foresee a pause in the US Fed monetary-tightening policy in the next few months, the threat of sudden capital outflows still looms because of global uncertainty, which may lead to risk aversion toward emerging economies such as Indonesia. The ongoing Fed monetary tightening is not the only threat that could trigger another bout of financial market turmoil. Other external factors such as the US-China trade war and continued economic slowdown in China, the world’s second-largest economy and Indonesia’s biggest trading partner and third-biggest source of FDI, could dampen investor enthusiasm for emerging countries. It is therefore most imperative that despite this being an election year the government must maintain the credibility of its policy-making and the direction of its policies, and continue structural reforms, so that Indonesia will outshine other emerging countries when another wave of market turmoil occurs.